ENgage! is the mobile client for MarXtar Enterprise Notifier. This App requires an existing Enterprise Notifier installation in order to function. Please contact your IT department if you require details. 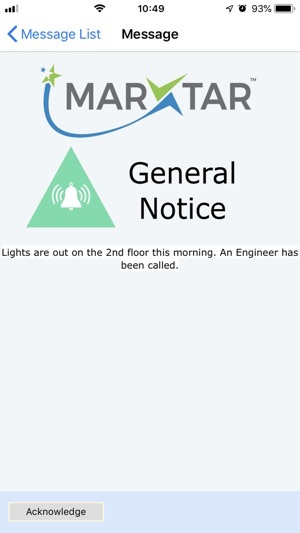 This Next Generation technology lets you rapidly notify your Team and/or Service Subscribers of Major Incidents or upcoming works and outages. Improve Response Times and Customer Perception with Targeted, Actionable, and Audited Communication allowing your users and your team to Interact and, more importantly, Take Action from wherever they are without launching another App or browser. 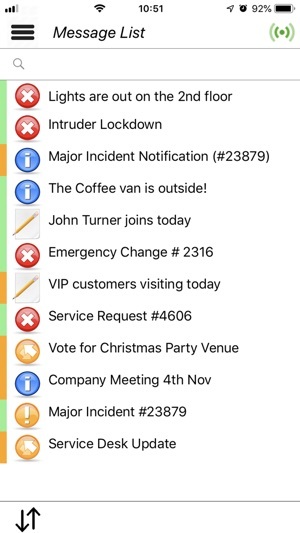 Enterprise Notifier can operate stand-alone or integrated with your existing processes whether they be Service Management, Security, Human Resources or Facilities via our open API. •New and distinctive notification sound to distinguish ENgage! from other mobile APPs. 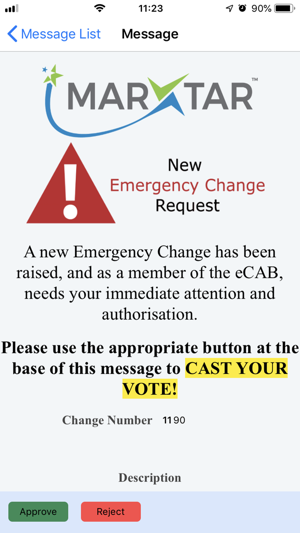 •Added customisable Support Info, visible from the Registration Page (visible when errors) and "About" menu (once registered).